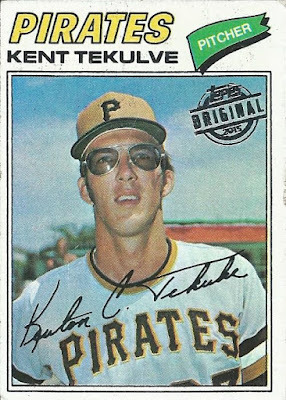 Shoebox Legends: Buyback Franken-set: Tekulve! Just one buyback tonight for the franken-set project, but it's a good one! 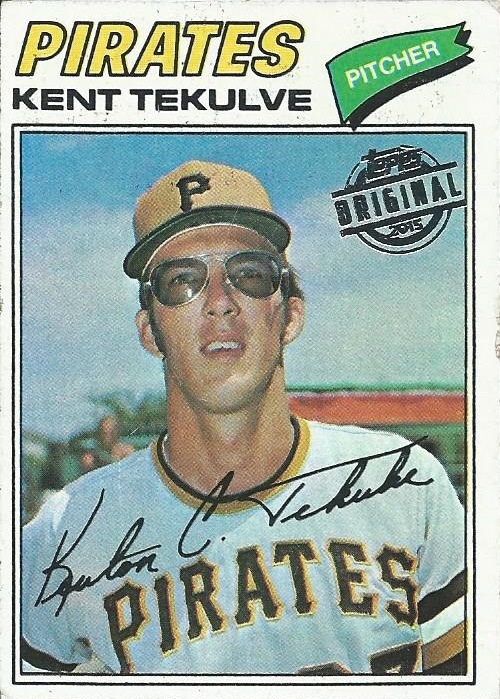 Yup, it's the great Kent Tekulve! This is actually the second buyback of Kent's to be considered for the project. 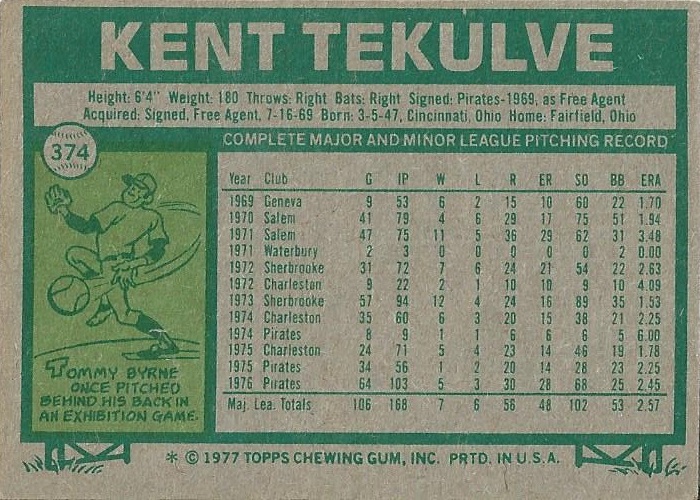 The first was his '87 Topps Phillies card though, and I'm sorry but Tekulve is a Pirate. So, in a way this feels like the first. Love the photograph on this one too. 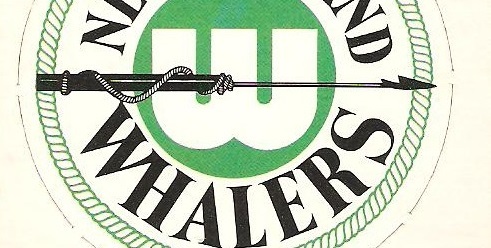 The facsimile autograph is perfectly placed, and so too is the buyback stamp for that matter. As if all of that wasn't enough, it's also a new number! 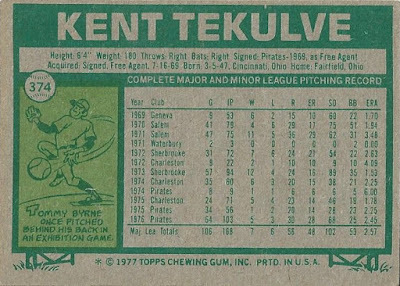 595 down, less than 200 to go, welcome to the franken-set binder Kent! Teke!! Nice addition to your buyback collection. Awesome card of a blogosphere fave. Less than 200 to go..seems like only yesterday you hit 50%. Pretty sweet! Good placement of the buyback stamp, too. Bogaerts Tracker 2018 - Into 57th Place!